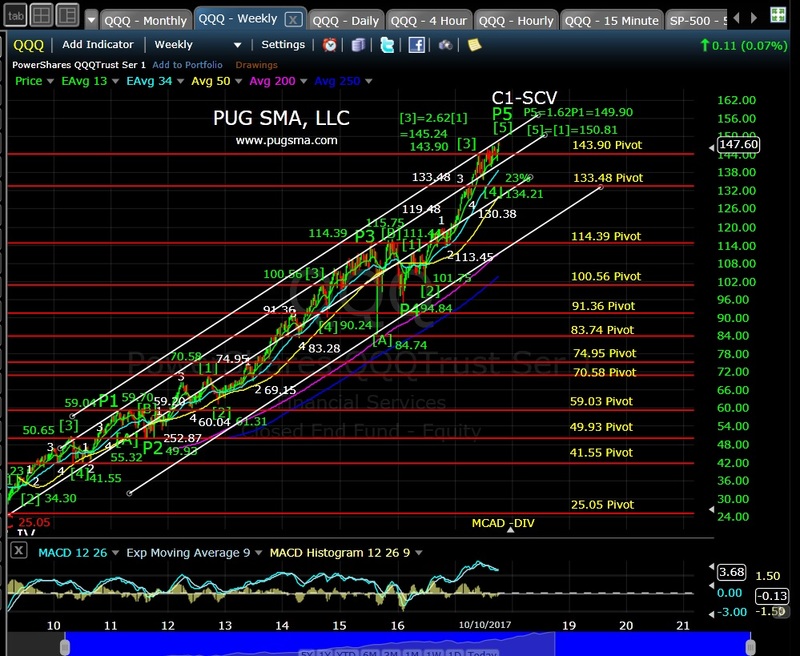 5:10 pm EST: QQQ is approaching its long-term Cycle (C1) target at P5=1.62*P1 = 149.90. MACD negative divergence (-DIV) is building on both the daily and weekly charts. The daily chart shows what could be a terminating end diagonal pattern for major -P5-C1. This entry was posted on October 10, 2017 at 5:13 pm	and is filed under Add-On Service, QQQ. 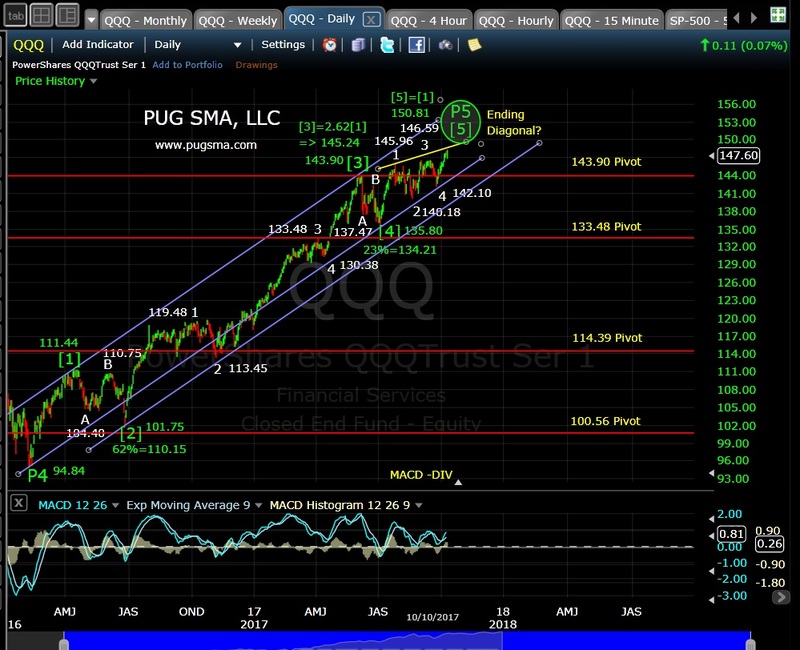 Tagged: Elliott Wave Technical Analysis, QQQ Technical Analysis. You can follow any responses to this entry through the RSS 2.0 feed. Responses are currently closed, but you can trackback from your own site.